A fount of solitude and the desert of childhood imaginings, the Sahara Desert is like nowhere else on earth. It is the world’s largest desert, at once continental in its scale and exquisite in its detail, from a sand sea the size of a small European country to an orange sand dune sculpted to perfection by the wind. Covering a territory roughly equivalent to the United States, the Sahara crosses around 20 lines of longitude and encompasses at least ten countriesMorocco, Mauritania, Mali, Algeria, Libya, Niger, Tunisia, Chad, Egypt and Sudan. 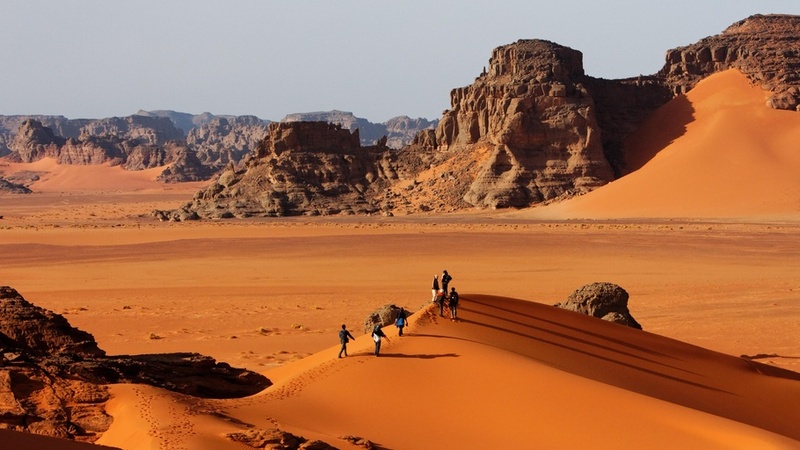 A journey into the Sahara can be as varied as the desert itself, but there are some quintessential Saharan experiences. Most begin in the gateway towns where expeditions out into the desert are organised. Often oases, these towns are centres of Saharan culture, places where the architecture emerges naturally from the earth and the slow pace of life has changed little in centuries. Tozeur rises up out of the desert, nestled into a huge oasis that is home to hundreds and thousands of palm trees. This surprising, fascinating place feels a very long way away from Europe, which is in fact just a few hours away. 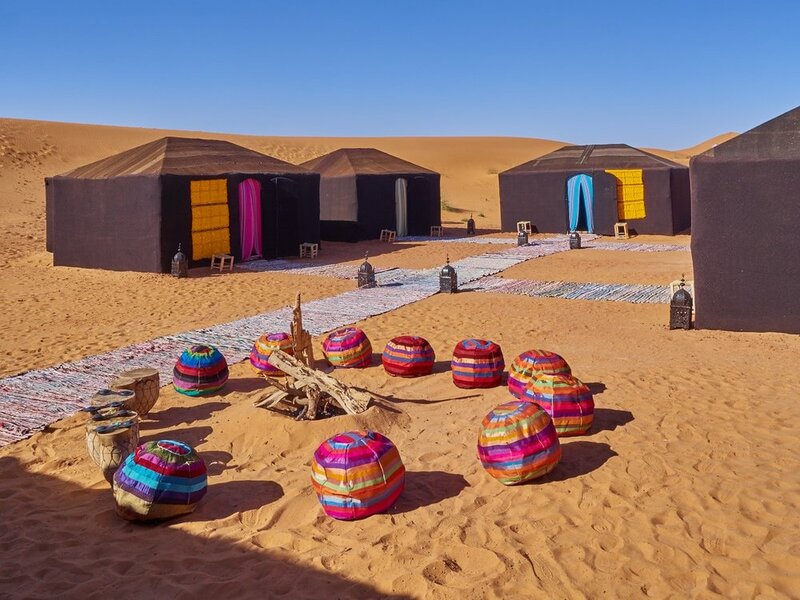 Ouarzazate, Zagora and Tinghir are authentic destinations bursting with myriad wonders that will take your breath away. The unbelievable variety of landscapes, ranging from deserts to green valleys, must be seen to be believed. The Sahara’s most beautiful landscapes lie – perhaps not surprisingly – deep in the desert’s heart. Algeria has sand seas that boast some of the largest sand dunes on earth, and the rocky landscape of the country’s southeast – the Ahaggar and Tassili mountain ranges in particular – produces some of the Sahara’s most otherworldly scenery. The ancient rock art of the latter makes it a Unesco World Heritage Site.